Can’t make it to the November 17 Journal of Law Reform Symposium “Alt Association: The Role of Law in Combatting Extremism” in person but still interested in hearing our speakers? Click here to watch the Nov. 17 Panels and Keynote in Real Time! The Michigan Journal of Law Reform is pleased to announce that its Fall 2018 Symposium, “Alt-Association: The Role of Law in Combatting Extremism” will take place on November 17, 2018, with a spring-board conversation on Monday November 12, and a introductory talk on Countering Extremist Violence on Friday, November 16 with panel participant Prof. Khaled Beydoun. Please join us for a conversation focusing on the intersections of race, creed, orientation, politics, identity, and labeling in the study and impact of “extremism.” We will also examine the assumptions, premises, problems, feelings, and conclusions generated by the Symposium panel prompts: (1) what is “extremism” and (2) how can the law combat it? Concepts and comments from this session will be provided to JLR‘s Symposium panelists and moderators for incorporation into the events on Nov. 17th. Symposium speaker Professor Khaled Beydoun will give a 20 minute presentation on Countering Violent Extremism grants and their impact on immigrant and Muslim communities, followed by Q&A. The Michigan Journal of Law Reform is proud to be publishing five articles written in conjunction with its 2016 Symposium, “At a Crossroads: The Future of the Death Penalty,” in the fourth issue of JLR‘s Volume 49. This issue will be in print during summer 2016. The 2016 Symposium will take place on Saturday, February 6, 2016, and will run from approximately 9 A.M. to 5 P.M. For more information on the Symposium, please contact Lauren DesRosiers, Managing Symposium Editor, at lmdesros@umich.edu. The Michigan Journal of Law Reform is excited to announce that its 2016 Symposium will be in the area of Capital Punishment Reform. 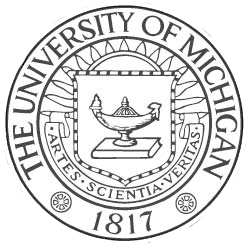 The symposium will take place in February, 2016 at the University of Michigan Law School in Ann Arbor, Michigan. For more information about the 2016 JLR Symposium, please contact Lauren DesRosiers, Managing Symposium Editor of the Michigan Journal of Law Reform, at lmdesros@umich.edu. On Saturday, February 7, 2015, the University of Michigan Journal of Law Reform hosted its Symposium, Immigration Reform at 50. Please find below links to video of the four panels, opening remarks, and keynote address. Enjoy! The Journal of Law Reform is excited to announce that the 2015 Symposium, Immigration Reform at 50, will be live streaming online all day on Saturday, February 7th, 2015. Click the link below to be directed to the live streaming site. The Michigan Journal of Law Reform is proud to be publishing five articles written in conjunction with its 2015 Symposium, “Immigration Reform at 50,” in the fourth issue of JLR‘s Volume 48. This issue of the Journal will be in print in summer-fall 2015. The 2015 Symposium will take place at the University of Michigan Law School on Saturday, February 7th 2015 and will run from 8:30am to 5:30pm. For more information on the symposium, please contact Kate Aufses, Managing Symposium Editor of the Michigan Journal of Law Reform, at kwaufses@umich.edu, or visit the JLR Symposium Website.